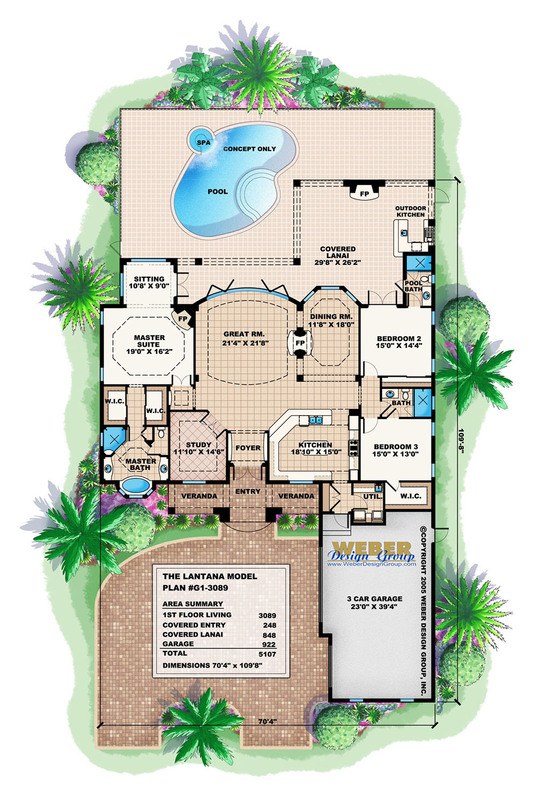 The one-story Lantana house plan offers a unique layout with a great room and dining room that are combined but partially separated by a two-sided fireplace. A large kitchen overlooks these open living areas, and natural light pours into them from the outdoor living and pool area that lies just beyond glass doors. 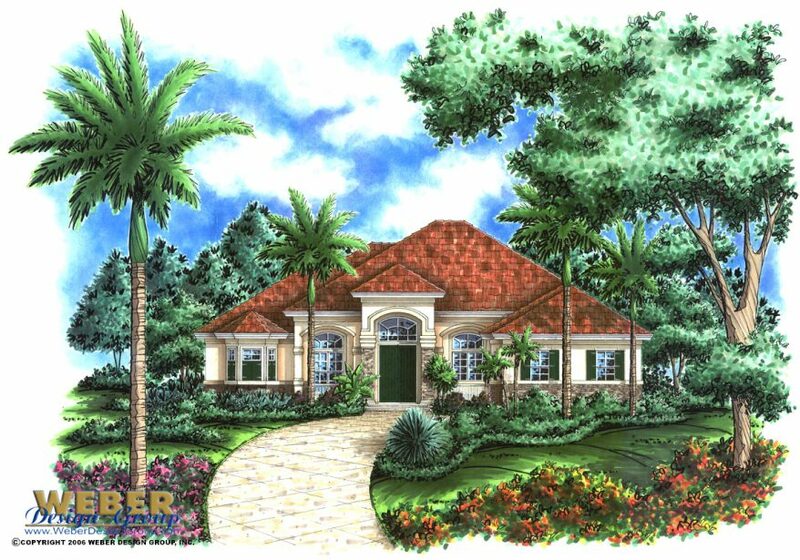 The southern style home plan features a spacious master suite with a sitting area that has access to the covered lanai through French doors. The master bath has a garden tub set inside a bay window, a corner shower and two vanities. Two additional bedrooms, a guest bath, pool bath, study and three-car garage complete this family-friendly country floor plan.